The enhanced primary care model moves away from traditional reactive models of care delivery towards proactive care that is centred on the needs of residents, their families and care home staff. Such care can only be achieved through a whole-system, collaborative approach. The specific aims are to provide continuity of care for residents, timely medicines reviews, access to hydration and nutrition support, and streamlined referral to out-of-hours services and urgent care. Wherever possible, there should be one-to-one mapping of GP practices to care homes as this arrangement simplifies care delivery (e.g. through multidisciplinary and interagency working between primary care and care home teams). This arrangement needs to respect patient choice - in Newcastle Gateshead 80% of residents choose to be cared for by the link GP practice. Each resident should have a named GP to ensure comprehensive assessment, problem identification and care planning. A weekly ‘home round’ should be held in each care home. This proactive round is a cross between a hospital ward round and a home visit, and it is crucial for reviewing and planning a resident’s care. In Newcastle Gateshead members of the team who participate in the ‘home round’ are the resident’s GP, the care home team, Older Persons Specialist Nurse and other members of the local MDT such as pharmacists. 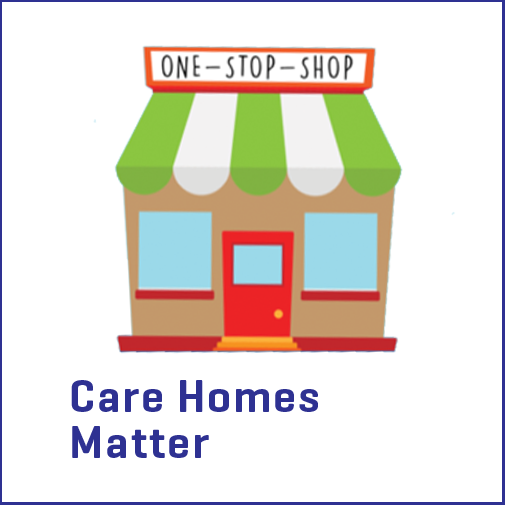 When a resident moves into a care home, a ‘comprehensive geriatric assessment’ (CGA) process should be carried out on admission as part of their personalised holistic care planning. This assessment should be reviewed at least twice a year and undertaken by appropriate members of the MDT. Including family members helps where there may be cognitive impairment and also helps give a holistic picture of a person’s preferences and goals, rather than simply their medical needs. It also recognises the caring role the family member may have held before the person was admitted to the home or hospital, or before domiciliary care started. A medicine review forms part of the CGA process and, as with CGA, the resident and/or their family or carers should be involved in the review. Thereafter, the MDT should agree the frequency of medication reviews, with safety being the most important factor. Medicine reviews should be no longer than one year apart and are best tied into regular CGA reviews and care planning. Out-of-hospital services form a vital part of the urgent and emergency care system at all times of day and night. In Newcastle Gateshead the EHCH is linked to these teams through sharing care plans and protocols with these teams. These teams include GP in-hours services, GP extended-access services, GP out-of-hours services, NHS 111, rapid-response health and care teams, and the local ambulance service.